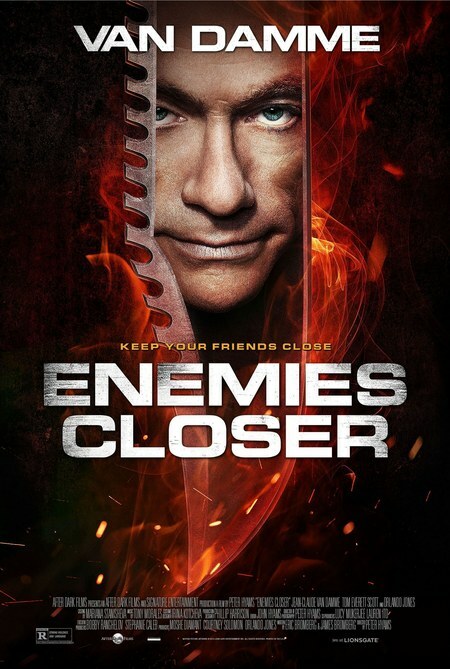 The Latest action film from the Muscle from Brussels is ''Enemies Closer '' where Jean Claude Van Damme stars alongside Tom Everett Scott ,the two are caught in a drug war between the cartels when Henry ( Scott) is forced to retrieve a lost package for the cartel. The film was released in the States on January 24th , and will probably be a straight to DVD in the UK. Of note the film is directed by Peter Hyams ( Capricorn One ' The Star Chamber) and this is the third film he has directed with Jean Claude Vna Damme starring, the other two being ''TIME COP'' (1994) and ''Sudden Death'' ( 1995) ,both of which where two of JCVD bigger budget films that also got cinema release in the UK.